Aaron Rasmussen– Film Editor & Entrepreneur and Director- David Rogier started MasterClass in 2015. MasterClass headquarter is based in San Francisco and it’s an education platform for creative professionals who are willing to learn more. MasterClass is quite flexible as here you can watch MasterClass courses using your computer or phone and at your own speed anywhere and anytime. You can learn acting from Samuel L. Jackson, photography from- Annie Leibovitz, Comedy from- Steve Martin, Writing From- Malcolm Gladwell and more. Really MasterClass is a great way of learning and improving skills from creators all over the world. Basically, a MasterClass generally cost $90 and it also comes with 30- Day Money Back Guarantee, that’s the best part of MasterClass. Courses are available out there on the MasterClass platform, all you need to do is choose what you wanted to learn and from whom. The best part about the instructors on MasterClass is that they are trained professionals in their respective fields. So, you don’t have to worry that much about the knowledge that you will be getting from MasterClass. We would like to recommend if you’re taking more than one MasterClass, then you should buy the all-access pass just for $180/per Year. And that’s quite an interesting deal. And definitely in the long run, you will be saving hundreds of dollars in your pocket and along with that, you can learn anything you wanted on MasterClass platform. You might be wondering does MasterClass also offer free trial offer, the answer is no. The best thing you can do- just get started with any course you wanted and if somehow you don’t like it just get your money back right within 30 Days. Generally, a MasterClass course contains 25 video lessons and each video will be 5 to 10 minutes long. All you need to do is just get started today with MasterClass and develop new skill from top-notch instructors all over the world. In some of the MasterClass Course video the instructor speaks straight to the camera, In other, the instructor may be working with their student’s efforts right in front of the camera. And in some of the videos, you might find extracts from the teachers. 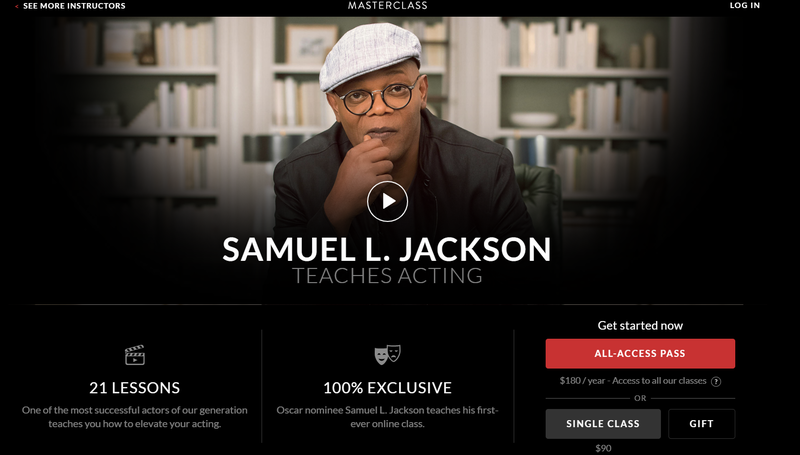 The best part about MasterClass is that you can take any course at your own speed and simply watch them using your computer or watch them on your phone using Masterclass app. 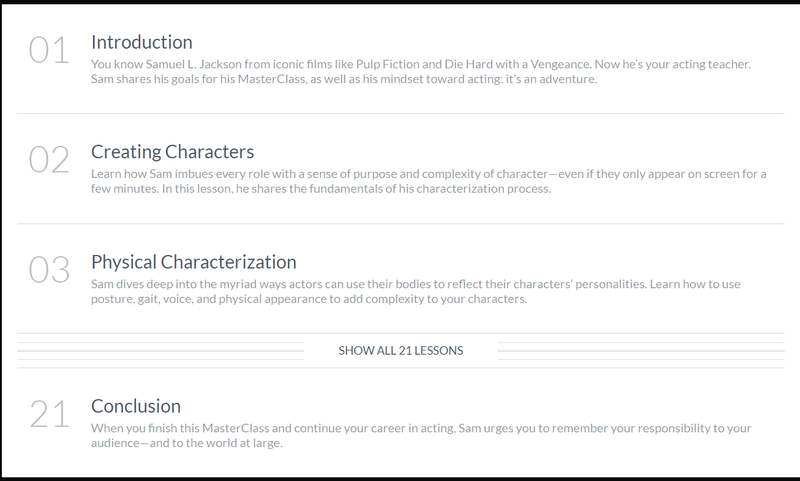 Here each of the Masterclass course generally comes with background material, downloadable worksheets along with reading lists. You can choose any methods are convenient for you. And the class summaries the key points right in each video provides additional reading materials and also gives spaces so that you can write notes for your own. Yes, a big thumbs up for those who actually wanted to add some advanced and demanding skills in any of the respective fields they wanted. There were too many online and offline learning classes out there in the market. Some of them are legit and some of them lack some features. But when we talk about MasterClass Courses then you will merely found any flaws and drawbacks. The functionality of and working MasterClass is very easy and flexible. For most of the courses, you need to pay huge money separately. 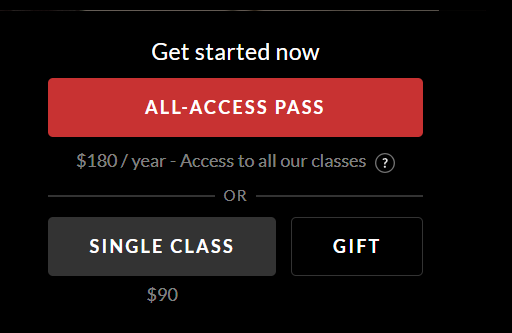 And here with MasterClass, you can get access to all of the courses just for $180 / per year, that’s quite impressive. The All-Access Pass is useful for taking more than one class. For such an affordable price you can invest in learning current experts just without investing thousands of dollars. It’s a big plus point of MasterClass is that they also offer 30 Days Money Back Guarantee. So, if you are not satisfied with their courses then you can get your money back within 30 days.